Thanks for joining me Lou – first of all, would you tell me a little about yourself? Yes, but firstly, thank you for having me on your wonderful Portobello Book Blog! Well, I live in the countryside, in Oxfordshire and, as I’m retired, I’m lucky enough to be able to concentrate on my writing. Now that The Tale of Senyor Rodriguez is published, I’m working on my next novel. A lot of my day involves walking with the dogs, hoping for inspiration, or sat at my computer trying not to gaze out of the window too much. I have a diploma in Creative Writing from the University of Oxford, where I learned all sorts of things such as the fact that I’m a terrible poet, that I have a secret desire to write Hollywood movie scripts, and that writing is hard – it doesn’t come right the first time around, you have to work at it. I came to writing late in life, deciding out of the blue to apply for a Creative Writing Diploma. My career had previously been in business – I’d written plenty of dry legal documents in my time – but my real passion has always been fiction. So, I decided to take a chance and try something new, which I don’t regret. Not only did I discover how rewarding the process of writing fiction is and, (after a lot of practice) found I wasn’t too bad at it, I also gained a great many new friends. Like many authors, the journey to publication was not an easy one. With traditional publishers losing so much ground to e-books, I think it is getting harder and harder to get traditionally published these days, especially for authors of non-genre, literary fiction. 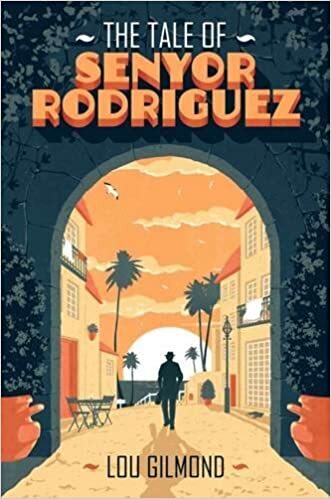 When I first went out with The Tale of Senyor Rodriguez I quickly secured an agent, but the book is a slightly quirky literary mystery and publishers couldn’t figure out how to fit it into their fiction list. It struggled to find a home at first, even though many commented it was a stunning debut novel. How frustrating for a new author! Fortunately, it has now been published by Fairlight Books, a brand new publishing house set up specifically to publish original and fresh, literary and quality fiction. In a nutshell, what is your book about? As one reviewer said, ‘it’s an intriguing, meandering mystery that captures the ageless charm of a Poirot/PG Woodhouse and combines it with the psychological intrigue of a Patricia Highsmith’. Sometimes the right title for a book can be very hard to figure out, but for The Tale of Senyor Rodriguez it was the only obvious choice. Do you have a work in progress just now? Yes, I’m working on a thriller. What’s your favourite book you’ve read in the past few months? Or favourite three if you really can’t choose! 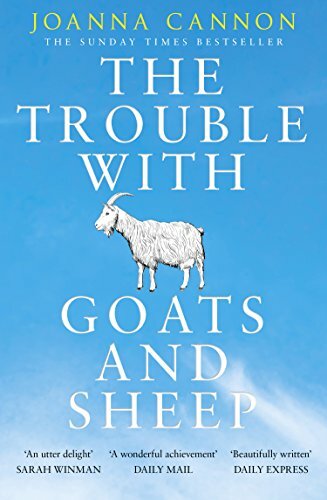 I very much enjoyed The Trouble with Goats and Sheep by Joanna Cannon. It’s set in the heatwave of 1976 and, like The Tale of Senyor Rodriguez, it is also a literary mystery novel. Joanna Cannon beautifully captures the languorous feeling of that summer, when all of the days slid by in a dream-like slow motion. It took me straight back there. What are you reading just now? I have a Penguin collection of classic short stories by my bed that I’m dipping into at the moment. There seems to be a real resurgence in short story collections now, which is fantastic as over the last decade it felt as if the short story writer was somewhat abandoned. The message ‘no-one takes short stories anymore’ was all writers ever heard. It’s great to see that short stories are back in fashion as I have many writer friends who write superb short stories that never get beyond their writing group. If you were on Desert Island Discs, what one book would you take with you? I think it would probably be Labyrinths by Jorge Luis Borges. 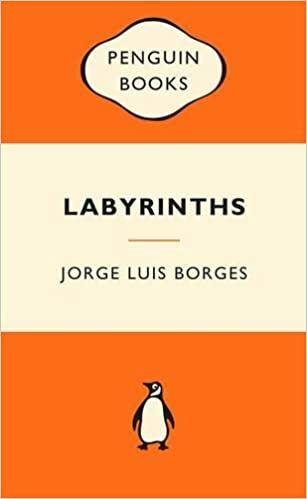 He is a Latin American writer and Labyrinths is a collection of stories of magic realism. They are so crammed with ideas and confusing concepts that I could while away many an hour trying to decipher them. Is there a book you’d like to see made into a film? Who would be in your dream cast? 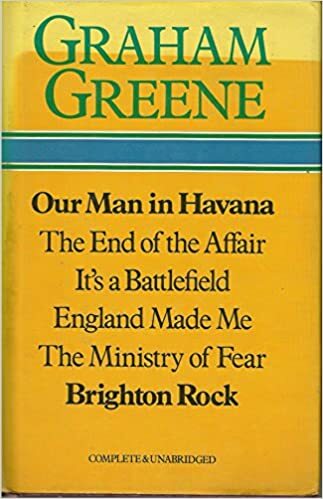 I’d love to see Graham Greene’s novels be picked up as subject matter for new films and t.v. in the way Le Carre has been of late. It would be great to bring his stories to a new generation. How can people follow you or connect with you on social media?